MLS# 180052334 - 2166 Coast Ave, San Marcos, CA 92078 - Abacus Properties Inc. Courtesy of Coastal Views Realty, Christopher Boyle. Elegant Mediterranean Residence with exquisite Marble Flooring, Crystal Chandeliers, Custom Faux-Finish Painted Walls, High Ceilings, Crown Molding, Custom Granite Counters, Chef’s Kitchen, and tiled garage. Privacy with no rear neighbors. 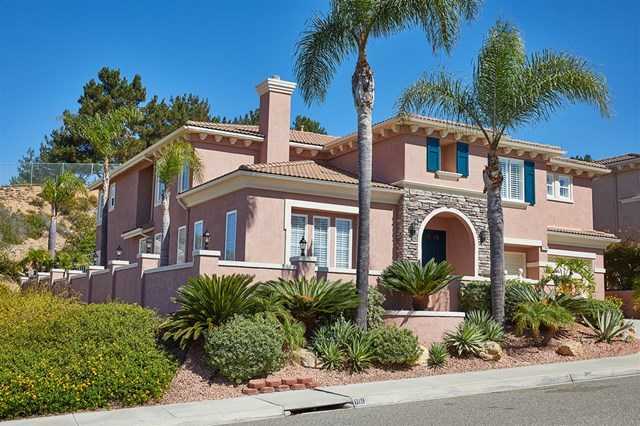 Magnificent high views of Batiquitos Lagoon & Ocean w/ Stunning Sunsets. and always Ocean Breezes. Full Wrap Terrace – perfect for Dining and Entertaining. First floor bedroom and bonus room w/ separate entrance. Best value on the market. Much house for the money. Please, send me more information on this property: MLS# 180052334 – $1,090,000 – 2166 Coast Ave, San Marcos, CA 92078. I would like to schedule a private showing for this property: MLS# 180052334 – $1,090,000 – 2166 Coast Ave, San Marcos, CA 92078.